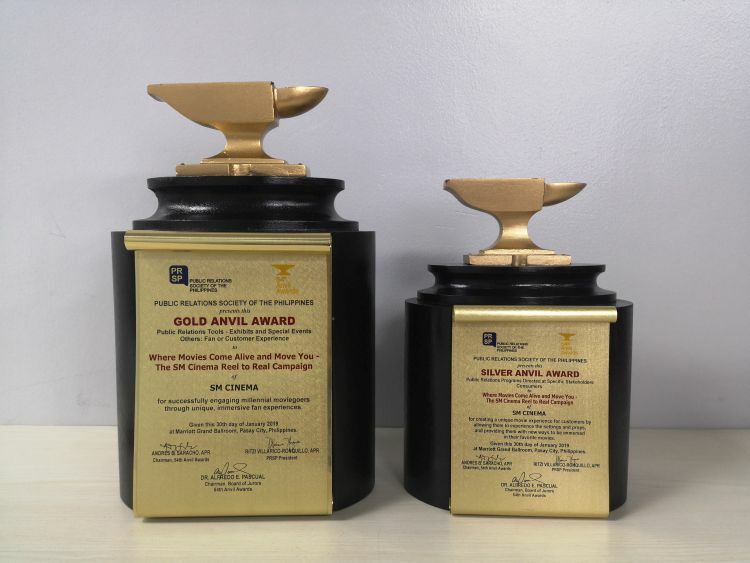 Following their international wins from the Marketing Events Awards in Singapore and the MarCom awards in USA, SM Cinema garnered prestigious awards yet again for its Reel-to-Real campaign, this time in the local scene, from the 54th Anvil Awards, dubbed as the Oscars of Public Relations! Organized by the Public Relations Society of the Philippines (PRSP), the Anvil Awards recognizes the best of the country’s public relations programs and tools. SM Cinema’s Reel-to-Real campaign took home the Gold Anvil for PR Tools: Exhibit and Special Event – Fan or Consumer Experience and Silver Anvil for PR Program Directed at Specific Stakeholders – Consumers.